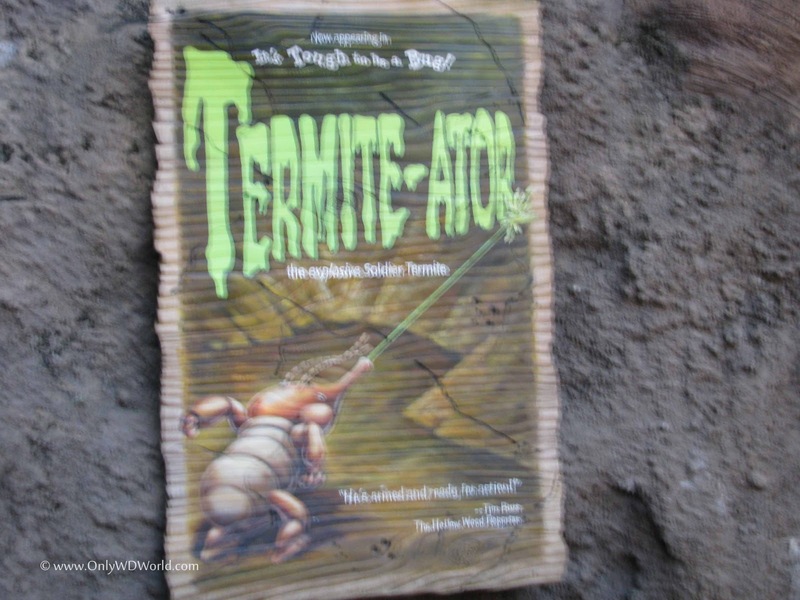 Home � Animal Kingdom , Animal Kingdom Attractions , Audio Animatronics , Pixar , Recent � Disney's Animal Kingdom Presents It's Tough To Be A Bug! 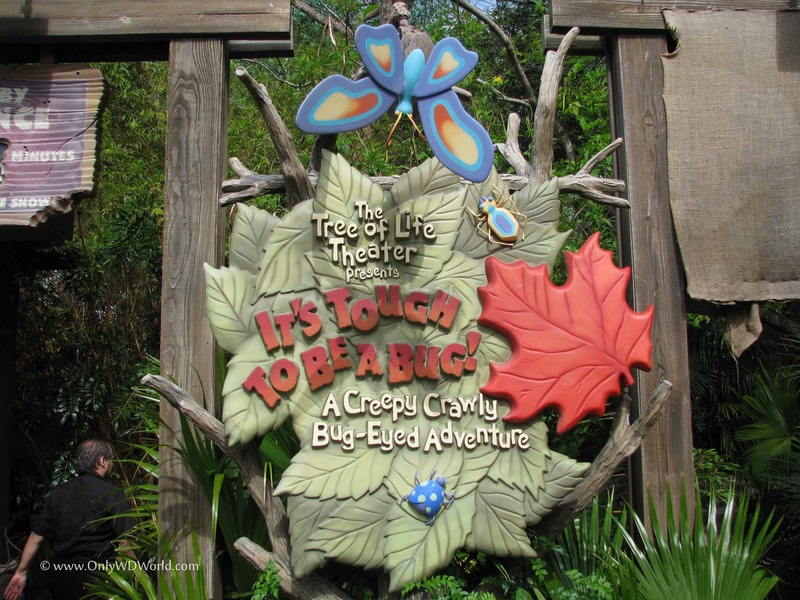 Disney's Animal Kingdom Presents It's Tough To Be A Bug! 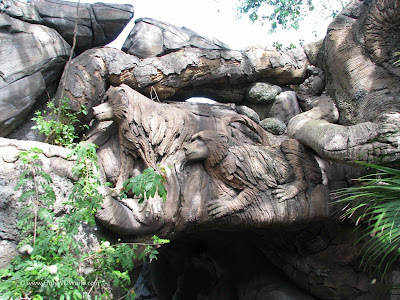 Disney's Animal Kingdom features all kinds of animals thoughout this incredible Disney World Theme Park. One category that you may not be expecting is: BUGS! 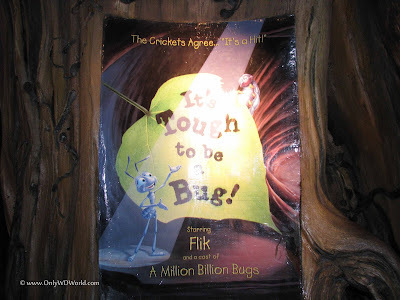 Building on the great characters from the Pixar Film "A Bug's Life" you will see Flik, Hopper, and others in the 4-D Adventure: "It's Tough To Be A Bug!" The iconic structure for Disney's Animal Kingdom is called the Tree Of Life and it greets the theme park guests with its amazing carvings of a wide variety of animal carvings throughout its trunk and roots. The "It's Tough To Be A Bug!" 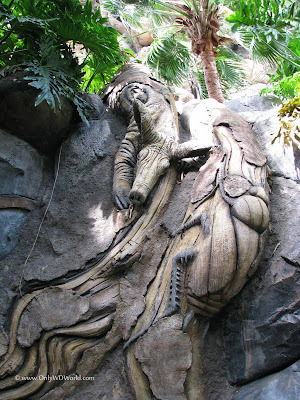 is actually housed in a special theater within the base of the Tree of Life. One of the benefits of experiencing this attraction is all of the great things you will see on the pathway to the theater entrance. Many of the 325 animal carvings on the Tree Of Life can only be seen on the path to the It's Tough To Be A Bug! attraction. Do not be in a rush, take your time to make sure you get a chance to catch all of the animal carvings hidden amongst the "roots." As the end of the path nears you head underground, beneath the Tree Of Life, to find the theater deep inside. 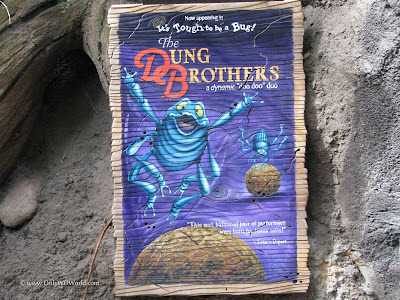 It is only appropriate that you would find a show about bugs located here. 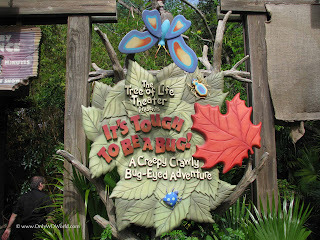 Once seated inside the Tree of Life Theater it is time for It's Tough To Be A Bug! This is a 4-D Show that includes: Audio-Animatronic Characters, 3-D Movie, and many special effects involving scent and touch. 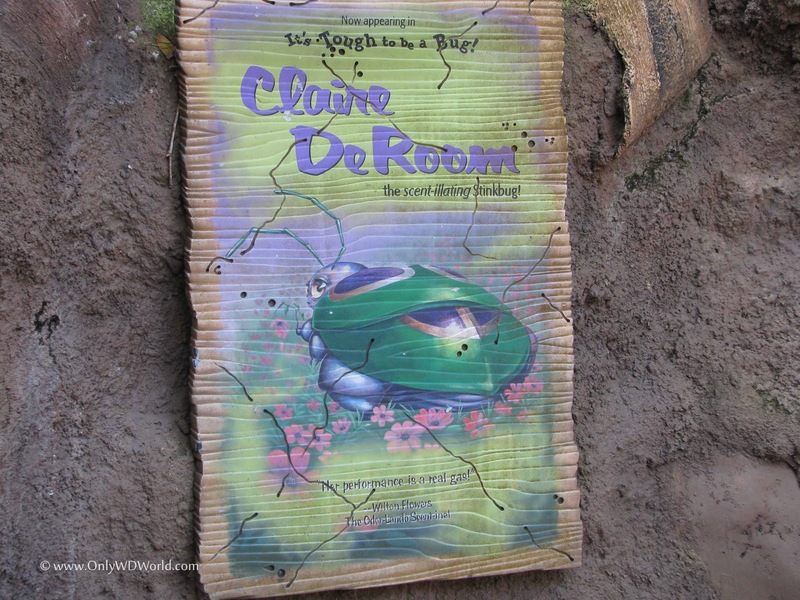 The characters involved in the attraction should be familiar to those of you that have seen the 1998 Disney Pixar film "A Bug's Life." Disney World Trivia: Did you know that "It's Tough To Be A Bug!" is the first attraction developed by Disney Imagineering based upon a movie, where the attraction actually debuted before the movie? Flik serves as the Master of Ceremonies for the show and tries to guide the action, that sometimes goes amiss. Part of the message of the show is to make the audience aware of all of the bugs that we share our world with. 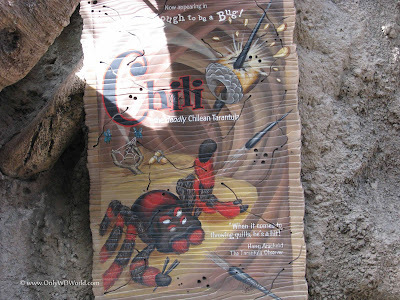 One of the first acts in the show involves Chili, the Chilean Tarantula, who actually is quite friendly despite his menacing appearance. He demonstrates his prowess of throwing poisoned quills at targets...until the targets move out in front of the audience courtesy of 3-D special effects. You knew it wasn't going to go well, when Claire De Room, the stinkbug, was going to demonstrate he talents. As expected, the audience captures the brunt of the demonstration. The Dung Brothers are there for comic relief and we also learn of one of the greatest benefits of bugs is their ability to "eat" waste. 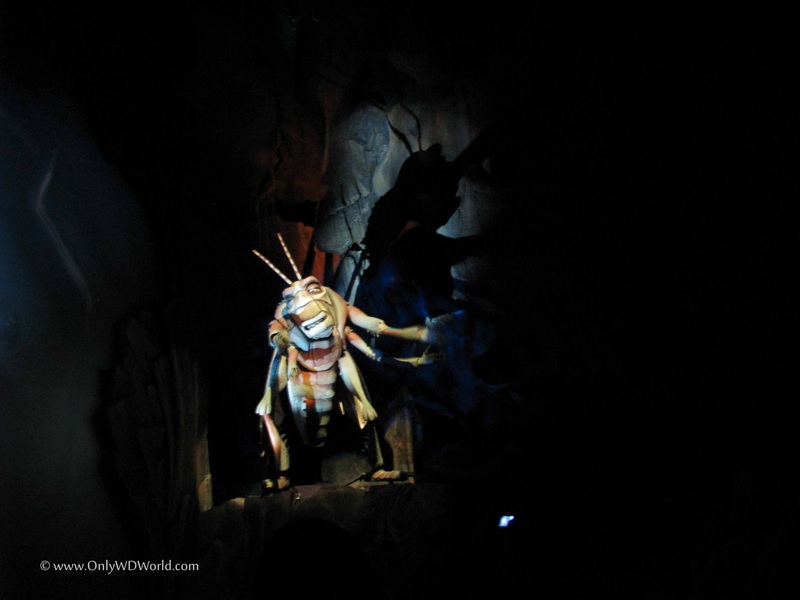 The scariest part of the show occurs when the large audio-animatronic Hopper makes his appearance and orders his fellow bugs to turn on the humans that have tried to eliminate them. This is typically the point in the show where many children decide that they have seen enough and want out (my daughter included.) It really is scary for young children and I would advise against taking them to this attraction. The special effects are great starting with the very impressive Hopper. There is also a unique effect when the wasps are ordered to attack. Soon Flik restores order and puts a happy ending on the show. There is one last special effect to take place to surprise the audience at the very end of the show. It's Tough To Be A Bug! is a great show that should not be missed (unless you have young, easily scared children.) 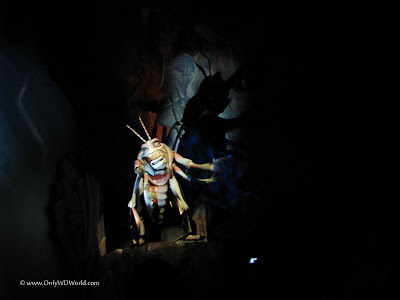 The combination of the 3-D film with the audio-animatronic characters, and the 4-D special effects make this the best of the similar films you can see at Disney World. 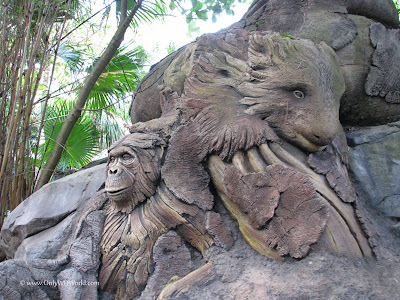 The great views that you get of the carvings on the Tree Of Life are another reason to go see this show. 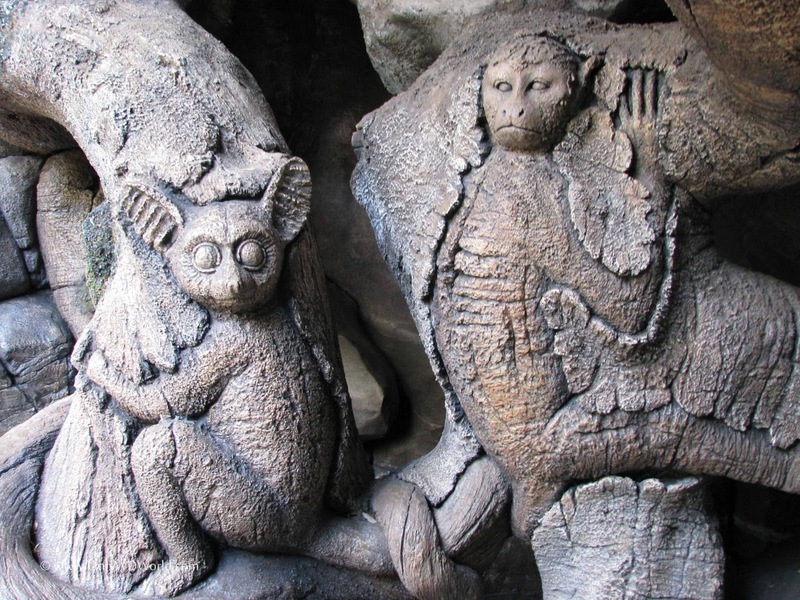 Many of these carvings can only be seen on the path to this attraction. The last reason to see this show is the the lines are never very long and the theater is air consitioned, which provides a nice break on a hot day at Disney's Animal Kingdom. 1 comments to "Disney's Animal Kingdom Presents It's Tough To Be A Bug!" 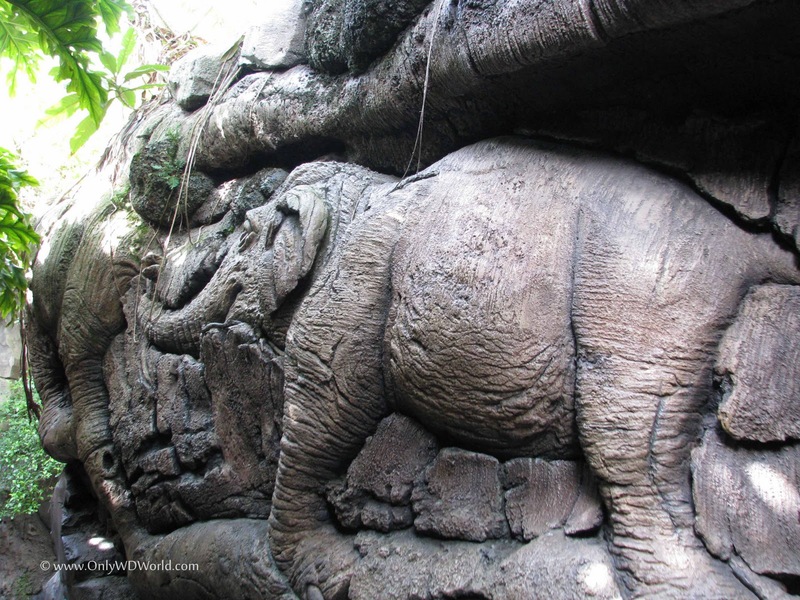 I rebember my first at Animal Kingdom. It was realy great!!! One of the best moments of my life. Great Post!!! !